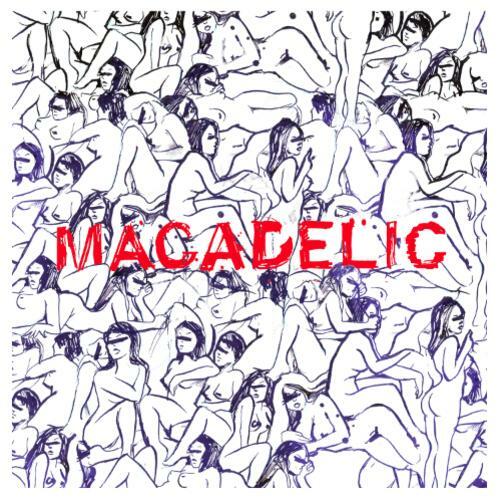 Bump Macadelic, the latest mixtape from Mac Miller, which dropped on Friday, March 23rd, 2012. 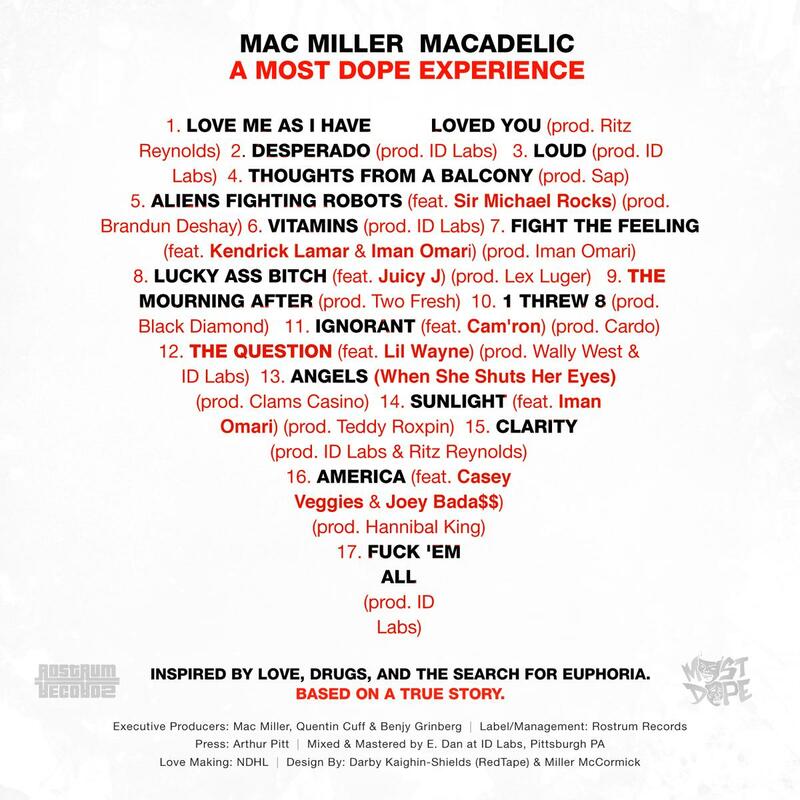 Mac Miller's horizons are broadening with each new release, and Macadelic is no exception. It's a worthy addition to a catalogue that has seen much growth since Mac Miller stepped foot in the rap game. We're looking forward to hearing more. These artists contributed to the project: Sir Michael Rocks, Kendrick Lamar, Iman Omari, Juicy J, Cam'ron, Lil Wayne, Casey Veggies, Joey Bada$$. These producers contributed to the mixtape: Ritz Reynolds, Id Labs, Sap, Brandun Deshay, Iman Omari, Lex Luger, Two Fresh, Black Diamond, Cardo, Wally West & Id Labs, Clams Casino, Teddy Roxpin, Id Labs & Ritz Reynolds, Hannibal King. 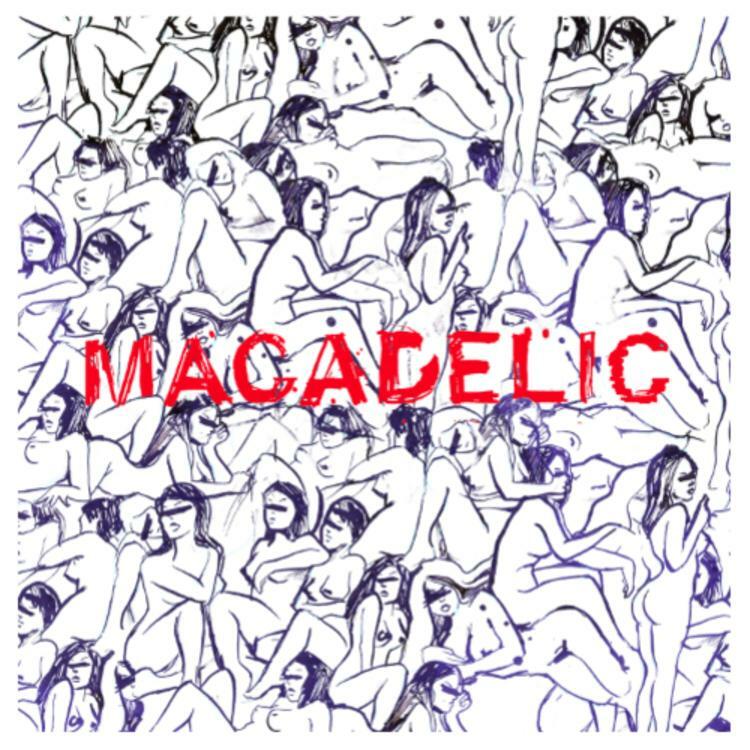 Visit our mixtape section to stream and/or download You [EP], a project released by Mac Miller on Tuesday, November 20th, 2012. It features songs such as Love Me As I Have Loved You (Prod. Ritz Reynolds), Desperado (Prod. Id Labs), Loud (Prod. Id Labs). If you dig this, visit Mac Miller's profile for the latest info, news, songs, and mixtapes. Remember to follow Mac Miller on Facebook and Twitter.